Birds are capable of extraordinary behavioural feats, from solving complex puzzles to tool making. There may be good reason for that. A new study shows that, pound for pound, birds pack more neurons into their small brains than mammals, including primates. This means that birds pack more brain power by weight than mammals, offering an explanation for their remarkable cognitive talents. 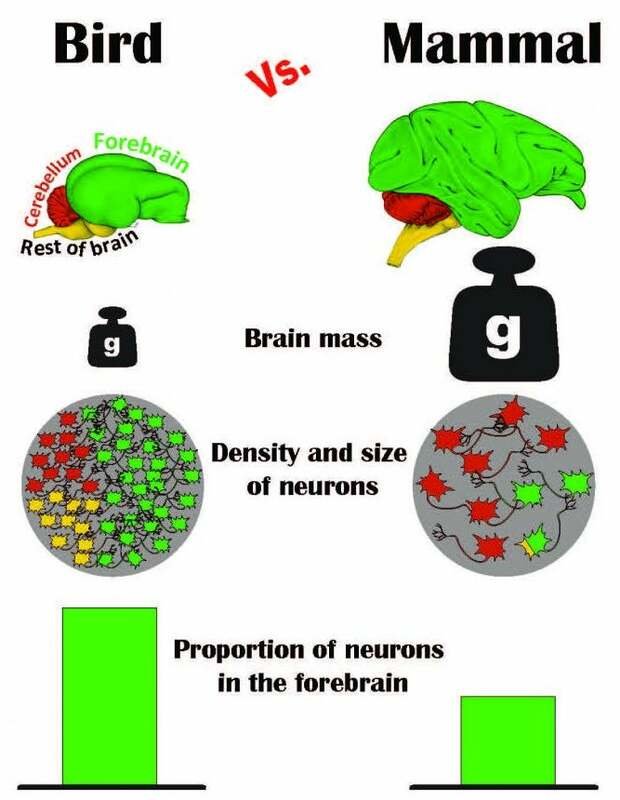 What’s more, the study shows that evolution has found more than one way to build a complex brain. Scientists have long wondered how birds — with their teeny-tiny brains — are capable of exhibiting many complex behaviours, some of which were thought to the be exclusive domain of larger primates. Birds can manufacture tools, cache food, plan for the future, pass the mirror test of self-recognition, use insight to solve problems, and understand cause-and-effect. They’ve also been observed to hide food in front of other birds, and then relocate that food when the other birds aren’t looking. This suggests that birds have a “theory of mind”, which means they’re capable of inferring what other birds are thinking. Very few animals can do that. Prior to this, scientists just figured that avian brains were simply wired in a completely different way compared to primate brains. 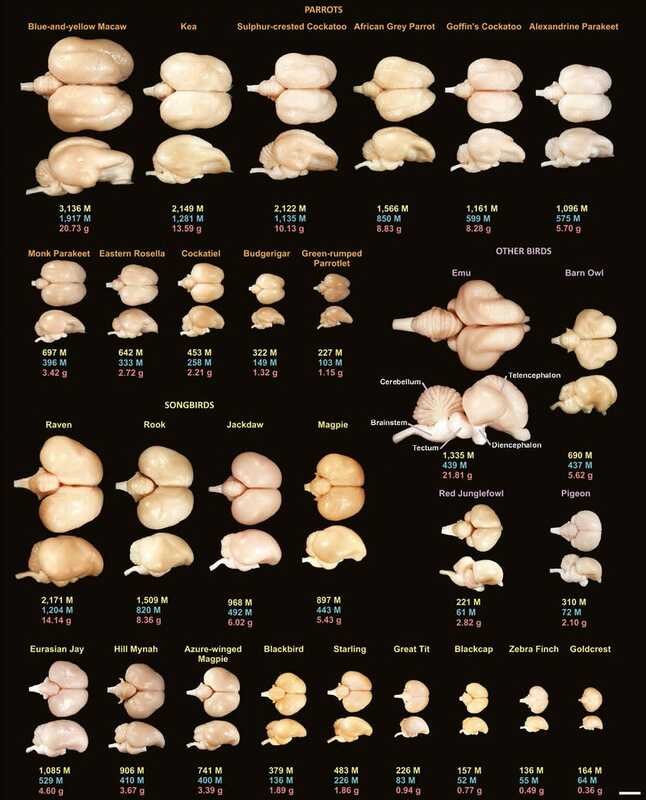 But this theory hasn’t been borne out empirically: studies have shown that avian brains are structured quite similarly to mammalian brains.